Modernizing our elections to make them work for all citizens in the 21st century. In the 21st century, with rapid advancements in technology, consumers expect convenience and accessibility. Voting and elections are no exception, and Hawaii has already implemented significant convenience reforms, such as online voter registration and same day voter registration (available in 2018). Updating Hawaii’s election system to incorporate Automatic Voter Registration (AVR) is an important next step in modernizing our elections. 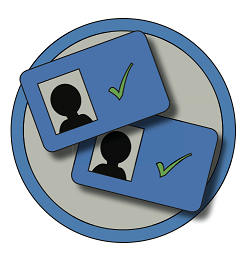 Currently when eligible citizens apply for or renew their driver’s license or state ID, they have to fill out a voter affidavit in addition to the standard license application form in order to be registered to vote. Automatic Voter Registration reverses this. Instead of having to opt into the registration program, all eligible citizens are registered to vote by default, except for those who choose not to be. Voter registration information would be electronically transferred from the licensing agency to the county clerk for processing, allowing for more frequent updates and eliminating the need for paper forms and manual data entry. Is a small techincal change. It would change our current system at DMVs from an opt-in to an opt-out system. Would increase the security of our elections, with more frequent updates to the voter rolls, and use of an encrypted system to transfer data rather than paper forms. Additionally, verifying eligibility occurs twice, first by the licensing agency, and then by election officials, will provide an extra layer of security. Is efficient which will lead to costs savings. It costs approximately 30 times less to process electronic applications compared to paper applications. Automatic Voter Registration works. Oregon was the first state to implement this system in 2016. Over 270,000 were registered via Automatic Voter Registration, of those 42.73% (or 97,184) voted in the 2016 General Election, which helped Oregon set a new state record for number of votes cast. Common Cause Hawaii has been a leading advocate for AVR and will continue advocate for the implementation of AVR in Hawaii. If you would like to get involved, and help us by contacting your legislator, submitting testimony, writing a letter to the editor, etc. in support of AVR, please email us at hawaii@commoncause.org.